Luštica Bay is a marina town offering waterfront residences, hotels, berths, golf & lifestyle facilities. The initial phases will include more than 1,500 properties including apartments, villas, and townhouses, and the first of the seven hotels, the five-star Chedi Luštica Bay, which will open this summer. The development also boasts two state-of-the art marinas offering 225 berthing options of up to five years. The main marina is also due to be operational by this summer, and offers accommodation for 176 power and sail boats up to 35 metres in length, and a sizeable secondary mooring area for smaller vessels is also planned. 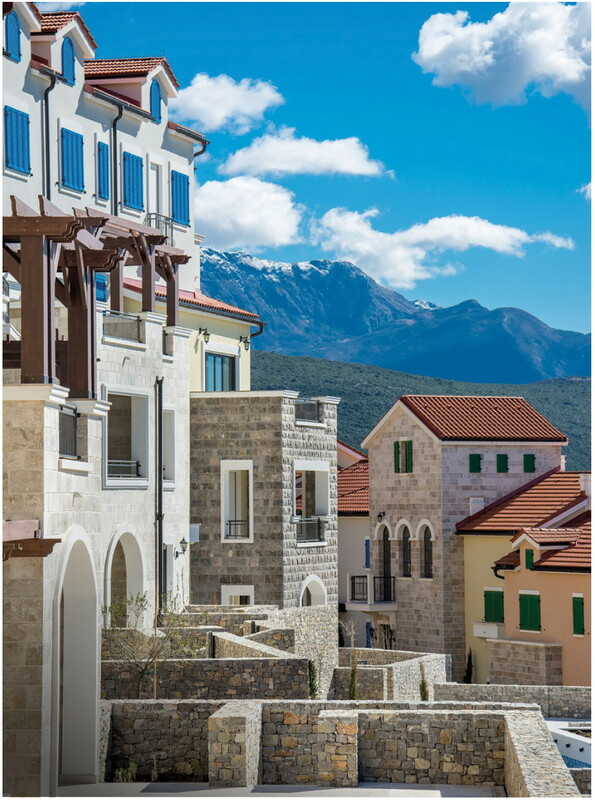 The residences are designed to reflect the traditional fishing villages of Montenegro. LOCATED ALONG MONTENEGRO’S LUŠTICA Peninsula, Luštica Bay Marina is a state-of-theart harbour and an ideal gateway to the Adriatic coastline. Set between emerald waters and mountainous horizons, at the entrance to the UNESCO world heritage site of the Bay of Kotor, it provides awe-inspiring access to one of the most coveted sailing destinations in the Mediterranean.